There are a lot of stupid things that I insist my friends see when they visit the city. I tend to avoid the traditional things (for example, I’ve still never been to the top of the Empire State Building), but there are certain little sights that I think are too much fun to miss. 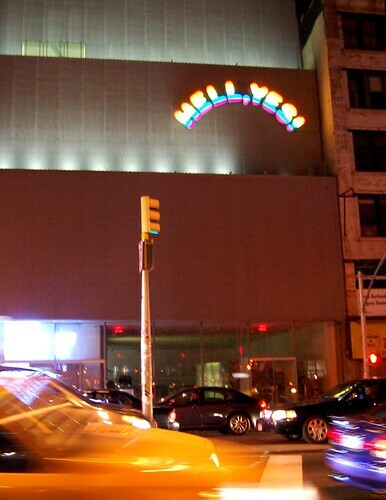 Rainbow-colored neon sign reads: Hell, Yes! 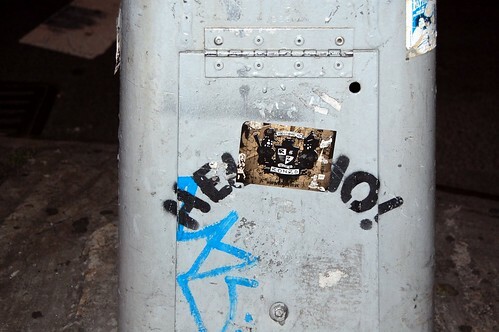 It’s partially covered with a sticker, but the stencil reads: Hell, No!